The confirmation of the murder of Ethiopian Christians by Daesh (IS) in Libya has been received with deep sadness. These executions that unnecessarily and unjustifiably claim the lives of innocent people, wholly undeserving of this brutality, have unfortunately become far too familiar. Once again we see innocent Christians murdered purely for refusing to renounce their Faith. 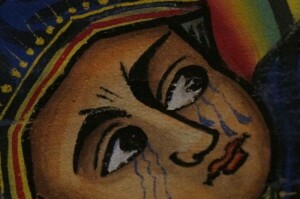 The Christians of Egypt and Ethiopia have had a shared heritage for centuries. Being predominantly Orthodox Christian communities with a mutual understanding of life and witness, and a common origin in the Coptic Orthodox Church, they now also share an even greater connection through the blood of these contemporary martyrs. This sad news came on the day that His Grace the Archbishop of Canterbury visited His Holiness Pope Tawadros II in Egypt to personally express his condolences following the similar brutal murder of 21 Coptic Orthodox Christians in Libya by Daesh in February of this year. These horrific murders have not only touched the lives of those in the Middle East and Africa, but have led to a greater sense of solidarity among people and communities around the world. I am thankful, in the midst of this pain, that the ghastly nature of these crimes is bringing a greater rejection of them, and of any ideology that sanctions, justifies or glorifies brutality and murder. As people of faith and none who respect humanity and life, we must continue to speak out against such appalling and senseless violence. As Christians, we remain committed to our initial instinct following the murder of our 21 Coptic brothers in Libya, that it is not only for our own good, but indeed our duty to ourselves, the world, and even those who see themselves as our enemies, to forgive and pray for the perpetrators of this and similar crimes. We pray for these men and women, self-confessed religious people, that they may be reminded of the sacred and precious nature of every life created by God. Acts such as these do not only cause insurmountable pain to so many around the world, especially the families and communities of the victims, but can also create an even greater desensitisation in those perpetrating them to the suffering and pain which they cause. The will of God, Who created us in His own Image and likeness, can most certainly not be that we feel each other’s pain less or become desensitised to each other’s suffering. We pray repose for the souls of these innocent men, a change of heart for those who took their lives, but above all we pray comfort and strength for their families and communities, and the many around the world who may not have known them, yet are left to mourn such a tragic and unnecessary loss of precious life. We have received an invitation and call for papers for an International Conference at Bose, Italy from 21-24 October 2015. 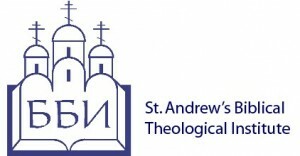 St. Andrew’s Biblical Theological Institute of Moscow, Russia announces an international conference co-organized with Monastery of Bose in Magnano, Italy on October 21-24, 2015. The theme of the conference is “History and Theology: Historical Conciousness as a way to Church Unity.” Scholars are cordially invited to present a paper. If interested, please send a summary (500 words at most) by email to St. Andrew’s Institute by 1 August 2015. The Organizing Committee selects papers for the Conference and sends invitations to the speakers. The full texts of all selected papers will have to be submitted by 1 October 2015. The working language of the conference will be English. For details, please contact Mikhail Tolstoluzhenko by e-mail: standrews@yandex.ru, info@standrews.ru or by Tel/Fax: +7 495 6702200; +7 495 6707644. In his Easter address to the wider Christian community the Archbishop of Canterbury draws on the repeated phrase from the opening of the Byzantine liturgy, “Christ has been raised from the dead, the first fruits of those who have fallen asleep” to offer hope where Christians are persecuted today. 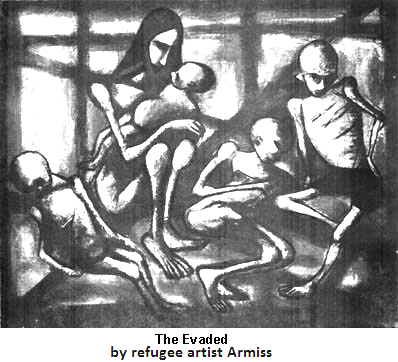 Archbishop Justin Welby speaks specifically about the suffering of Christians across the Middle East as well as recalling the centenary of the Armenian genocide (see illustration)when so many lost their lives and homes because of their Christian faith. This Easter, he suggests, we are called to follow the saints and martyrs in Christian hope. The full text of the message is available here.